Last week was was all about dinosaurs at storytime. Looking for books about dinosaurs was incredibly easy! If your patrons are anything like ours, you have some young paleontologists in the mix and that insures lots of dinosaur picture books and information books. I like to start storytime by introducing the theme and an accompanying letter. My storytimes are pretty intimate and I know most of the 10-20 kids that come each week so then the kids and I talk about what they know about the theme (or other random topics on their mind). For example, this week we chatted about dinosaurs, fossils and the letter D. It gets kids warmed up so they aren’t so shy during the stories and activities. As we talk, kids share more and more details and even slip in a few a conversation-inspired stories of their own. Families tend to trickle in at the beginning of storytime, so this warm-up also gives everyone a chance to get settled before I really get started. 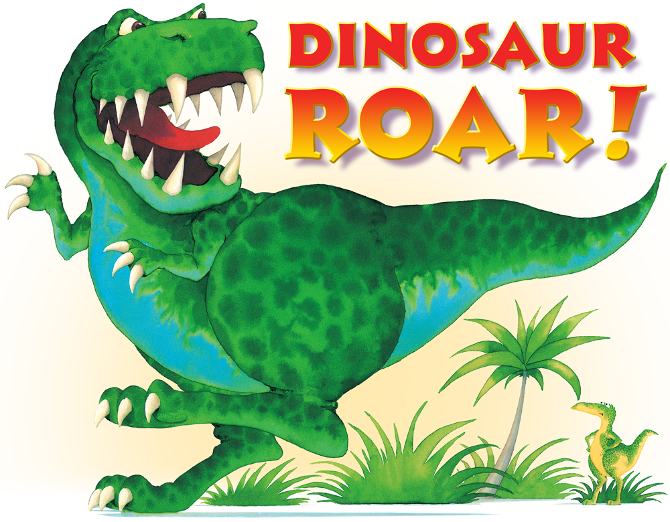 Continuing on with the opposites, I started with the book Dinosaurs Roar by Paul and Henrietta Stickland. It’s a book that makes for lots of conversation and can involve very active reading. Roaring, pretending to be big or small, stomping, and imitating fierce and meek are all possible during this seemingly short book. Next we got to focus on why we know about dinosaurs and the concept of extinct which a surprising number of 5 and 6 year olds knew quite a bit about. We felt our arms for our own bones and I showed them the “fossil” we were going to make after stories. 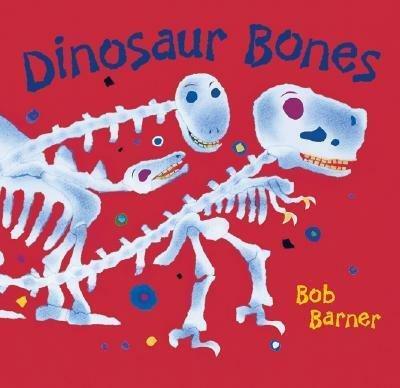 We then read Dinosaur Bones by Bob Barner, a book we have in our collection as a kit. Before continuing on with another story, it was time for the flannel board dinosaurs! We used these dinosaurs to remember our colors, count to nine, and see if we could identify the the three types of dinosaurs. Great job, all around! Have felt dinosaurs of the various colors to put on flannel board as you sing. We were having so much fun, that we only had time for one more story before it was time to create! 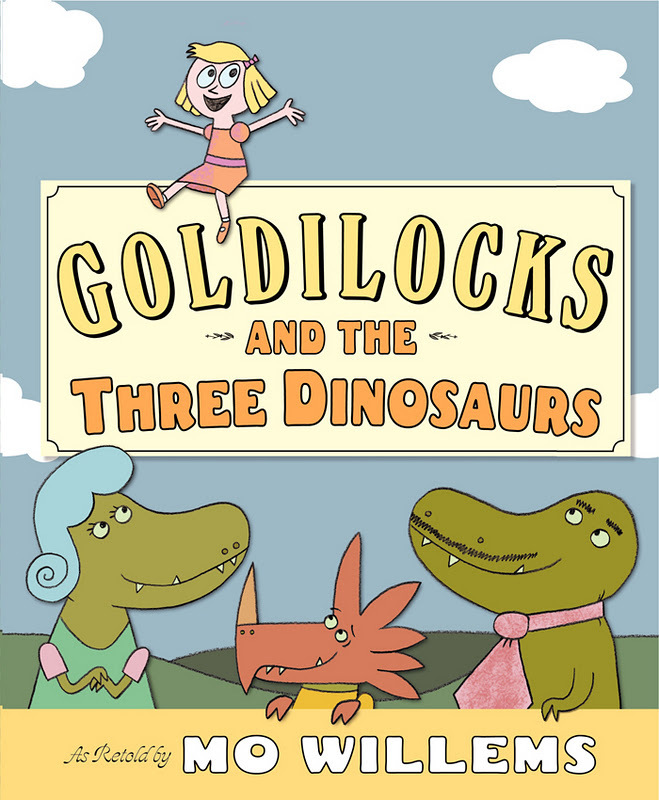 Mo Willems’ latest Goldilocks and the Three Dinosaurs is, of course, funny. For kids to really appreciate this one though, they need to be familiar with the Goldilocks and the Three Bears tale, so we spent some time talking about that story first. Then we worked through the story, parents snickering all the way, and looked for some of the funny little Mo Willems gifts found on each page. (Can you find the pigeon?) Goldilocks is appropriately brave and defiant and even demonstrates her reading skills towards the end of the story. The dinosaurs are not very good at catching a “chocolate-filled-little-girl-bonbon” and alas they must endure the consequences at the end. Before or after reading the story, it’s worth spending some time on the alternative titles inside the front and back covers! 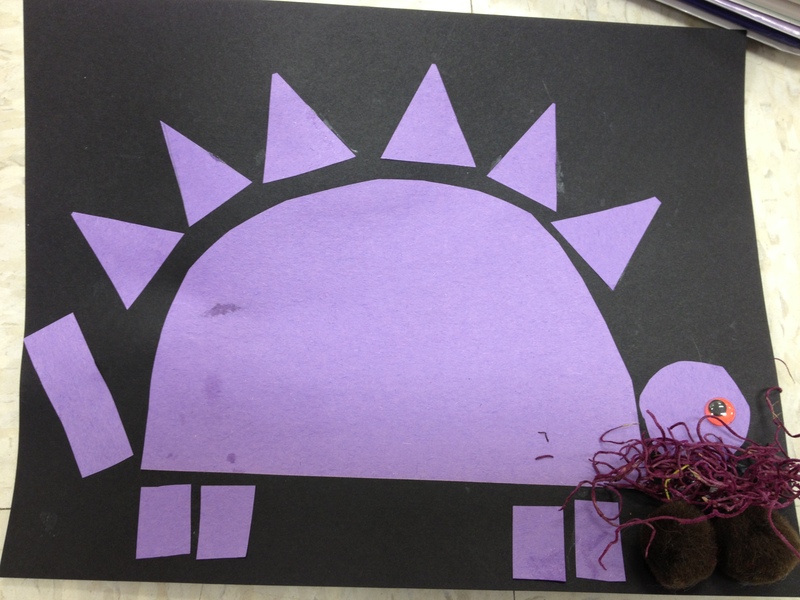 To reinforce our shape awareness, we made a shape-o-saurus inspired by No Time For Flashcards! The kids were able to identify the rectangles, triangles, and circle from our shape games in earlier weeks. A couple were even able to see that the semi-circle was a capital letter D asleep on its side! To help the younger kids place the shapes on the shapeosaurus, I had parents draw the shape with glue. It made for great team work. 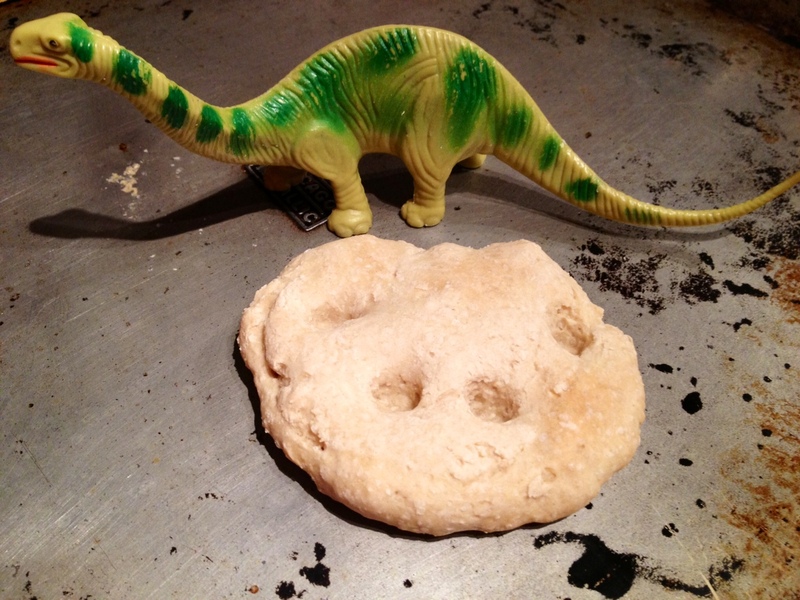 What happens when you give kids a handful of salt dough and a toy dinosaur? Some of them make fossils! This part of the storytime involved making pretend fossils by pressing the feet of toy dinosaurs into the dough and then the parents baked the dough at home to finish it off. I gave each child a bag with the final instructions for their new fossil. The dough takes paint well, so the craft could be extended for an at-home project. Some parents took dough and some some chose not to, but kids had a great time squishing the playdough-like material and making patterns with the handles of scissors, tops of markers, keys, etc. A couple of younger ones sampled the dough, but no worries! The simple salt dough is made of flour, salt and water which I combined at home (about 10 minutes of prep time) and then brought to story time. 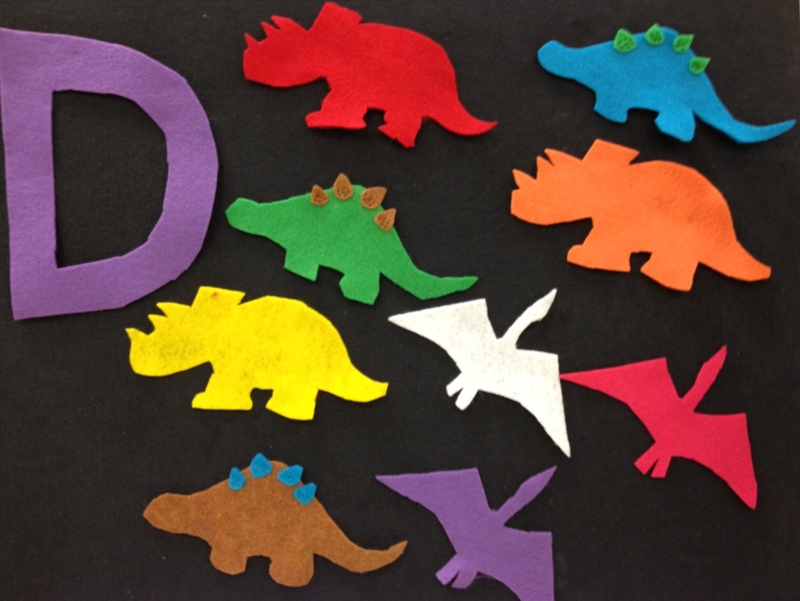 Since I used this program only in my outreach efforts this week, I plan to do a dinosaur themed storytime at the library this summer with some different stations, as part of the Dig Into Reading summer program. 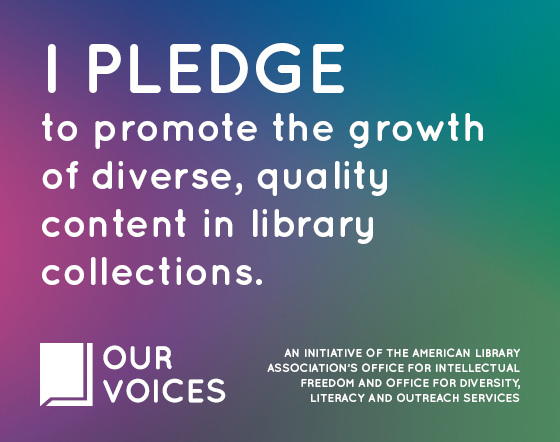 During June and July, I’ll be taking a cue from Amy Koester’s ALSC blog post and hosting science based programs during storytime. I’ll be adding a twist to the acronym and consider them STEAM-y (Science, Technology, Engineering, ART, and Math)* storytimes for preschoolers. What ideas do you have planned for Dig Into Reading? *Alaska’s Senator Mark Begich is also a big supporter of combining STEM and Art.